wow just sweet young dividend! Got to love those numbers. Awesome stuff YD! Your portfolio is really building up nicely and getting nearly $1k per month in dividends is going to really get that compounding process rolling. That's fantastic. $1700 in a month is absolutely fantastic. Well done to you. That rolling over into next year will make it really grow. Wow massive month, well done - setting new highs. Big dividends from MO and PM - I've seen a few people buying up these at current prices, any desire to add more, or others on your radar you prefer? I am considering some companies to purchase in sectors other than consumer staples right now to better diversify. Will likely add consumer staples to offset the low yield as consumer staples usually have better yields. Congratulation for another record month! $1700 in one month is sick! I've also joined the "tobacco club" and enjoy the new stream of dividends. Big dividends from PM and MO. Have you tried using selling covered call options to increase the cash flow? Incredible YD. That's how you set a record in style. 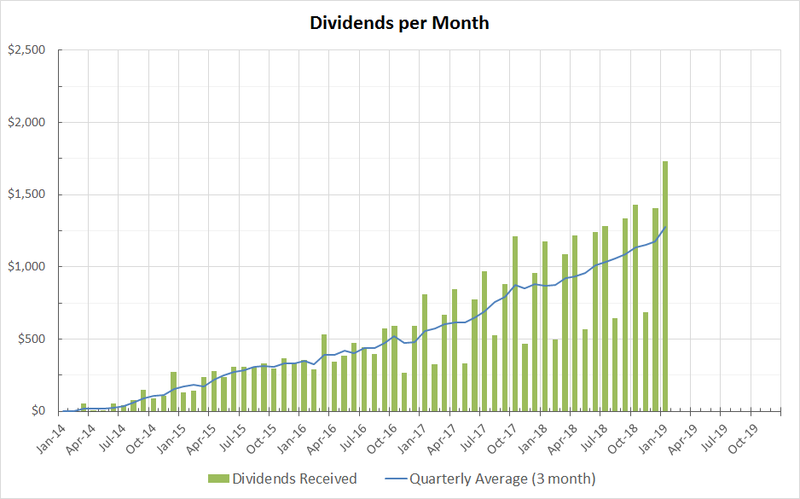 You have to be one of the few bloggers I have ever seen set a dividend in an "off" month. By the way, those MO and PM dividends are just ridiculous. Think about how many shares you DRIP'd and the dividend income added from those alone. Just WOW.